Meals eaten: 11 One in a local Berber’s home, one in the middle of the Sahara desert, naturally. 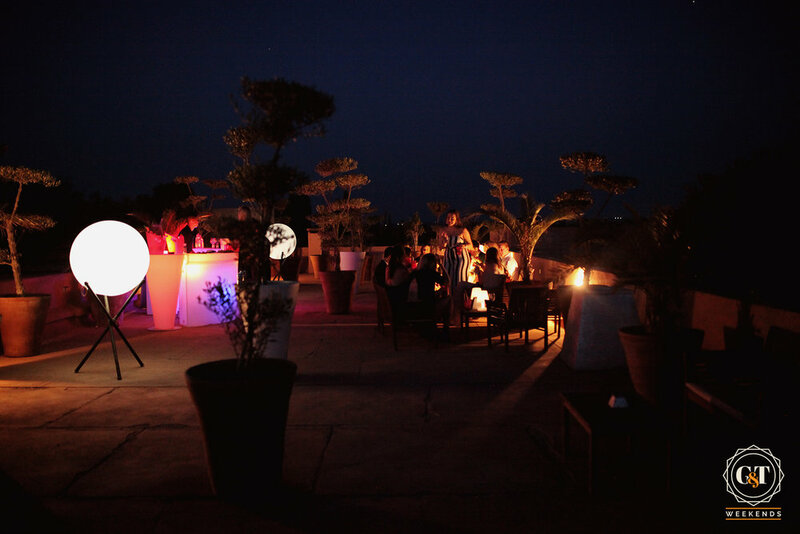 We got to know each other over the first of many tagine dinners, and enjoyed our first starlit swim in the pool. 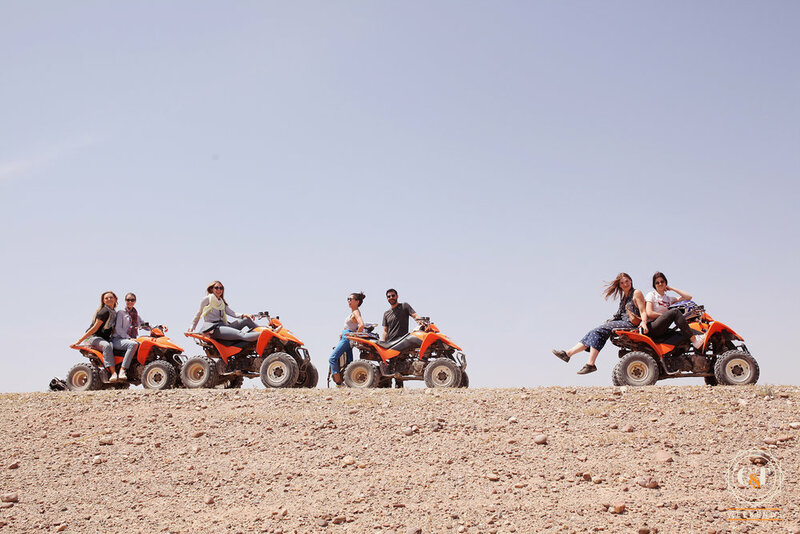 The adventurous set out for the desert after breakfast on quad bikes, Mad Max-ing our way through the Sahara. 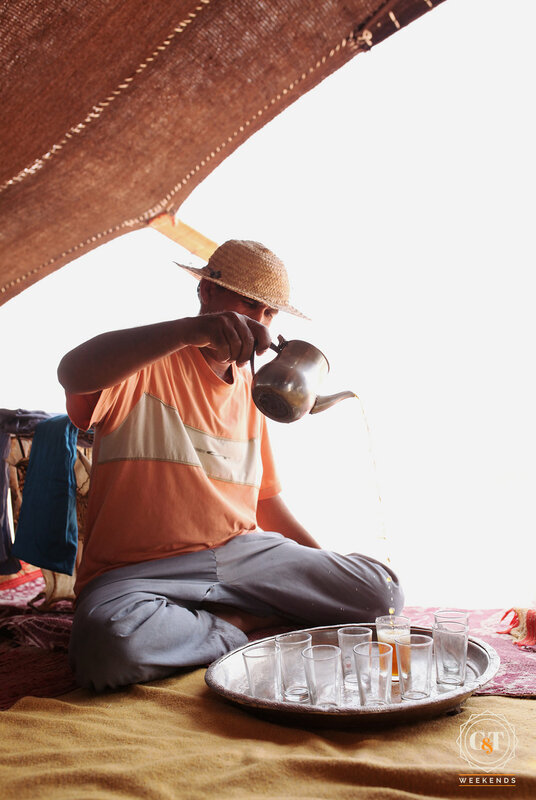 After racing over dunes, flying through the arid desert and manoeuvring through oasis palm groves, we stopped by a nomad’s tent for the quintessential mint tea always in great abundance in Morocco. After sipping our “Berber’s whisky” and wiping more dirt off our faces, we headed back to the villa for a lunch under the olive grove. Keen to get our Patrick Swayze on, we were driven to the local country club for a pottery class. 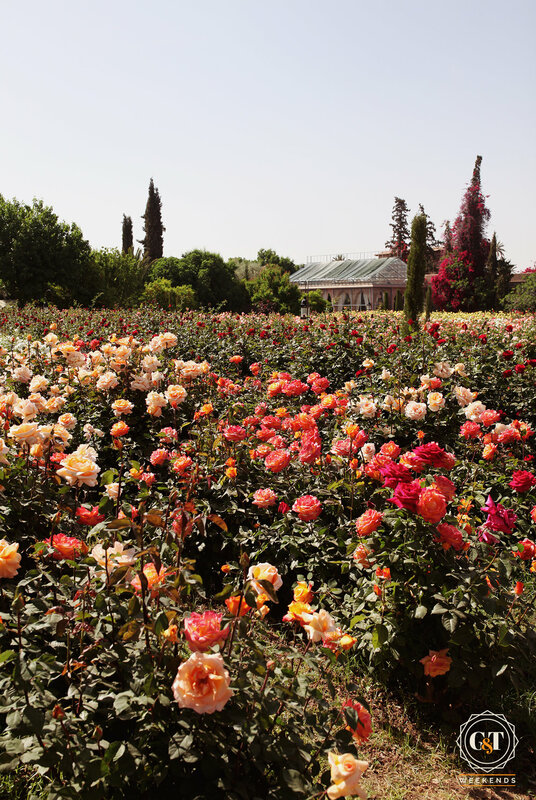 We spent time in the beautiful rose gardens, stopped by the haven of a greenhouse (complete with self-playing piano) and sipped more tea on rugs before learning how to make candle sticks and mini tagines on the pottery wheel. Poking our heads round the corner of the studio, we were transfixed by glass blowers’ intricate work. 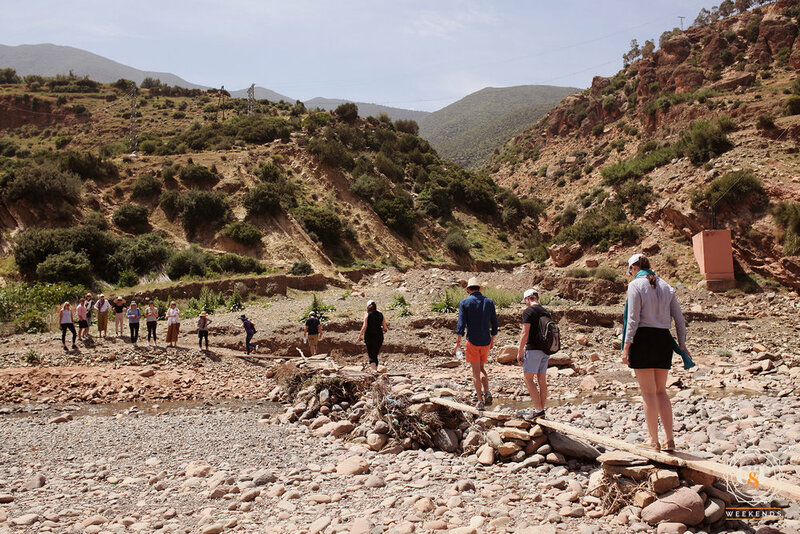 After some much needed coffee and breakfast, we headed off for our Atlas Mountains tour, run by our incredibly knowledgeable tour guide. We stopped by an Argan oil factory (the Moroccan secret to great skin and nails) run by local Berber women, fascinated by their trade. Once in the Berber village, we learned what makes the Berbers a unique tribe: one male is buried in a crypt in the village, and all future tribesmen in the village descend from him. 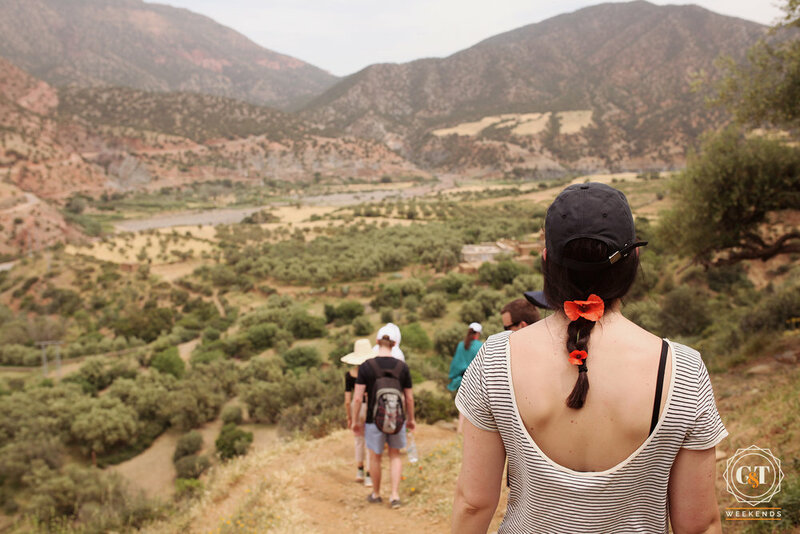 We hiked up to another local village, and were welcomed intolocal’s home for a Moroccan lunch of tagine with regional olive oil and handmade bread. After a long, sweaty day, Hammam was just what he doctor ordered, and we enjoyed a private scrub-down and essential oil massage in our spa at the villa. Rejuvenated enough to keep the party going after dinner, we set off for Palais Jad Mahal, a decadent restaurant/bar with interiors we’ve only ever dreamt of, belly dancers and a live Moroccan band. Easter morning in the Marrakech Souks> Easter morning anywhere else. 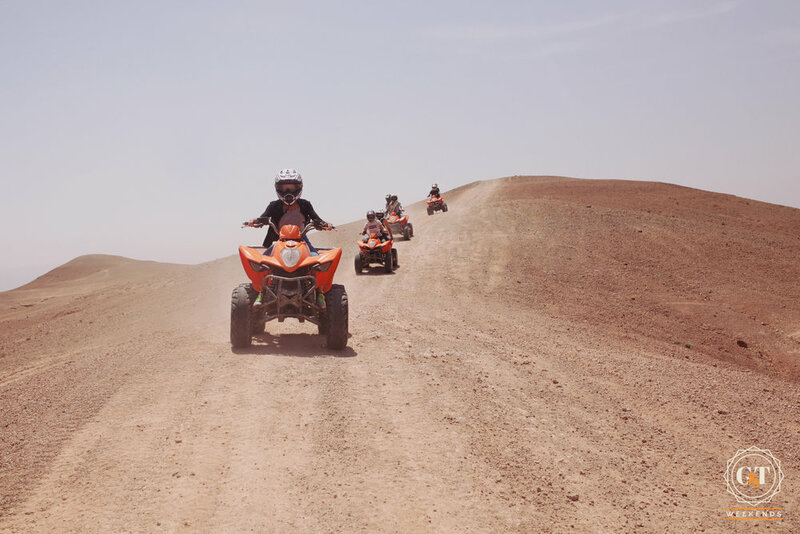 Our guides took us through the sensory overload that is the Medina and Souks of Marrakech, and we learned about the history and future of Morocco as we took in the vibrant colours and smells of the tiny laneways. We laughed with the salesman in the rug shop, so skilled at his profession, I now have a beautifully woven Moroccan rug in my bedroom. Inside his medicine shop, a Berber pharmacist gave us natural remedies for our hangovers, and gave the gentlemen in our group – unsolicited – advice on virility herbs. A long, lazy lunch and afternoon spent in the pool was exactly what we needed before our last night together. 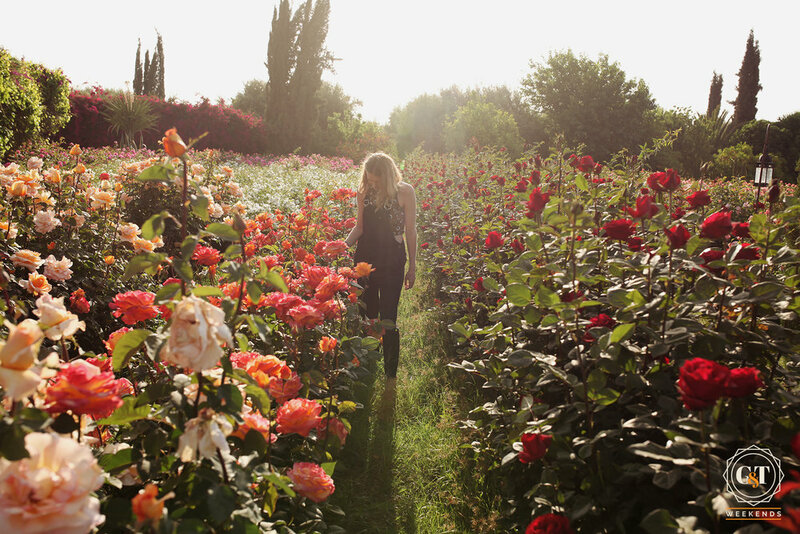 G&T Weekends is based between Toronto & London, read our story here.